At 175m, Acionna offers everything you could possibly wish for in a futuristic concept, which blows convention out of the water! 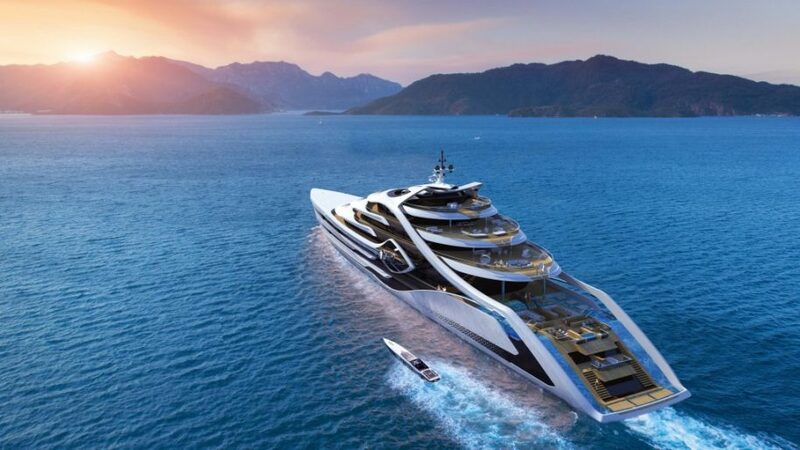 We would expect nothing less from British designer Andy Waugh, who has created a megayacht design with his usual flair and style. The interior space is not only vast to accommodate the most imaginative of owners’ requirements but offers an inspired central design with panoramic views. The way this vessel will be powered is also ground-breaking and forward thinking. 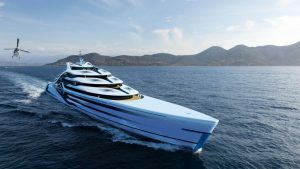 The use of hydrogen propulsion bought from renewable energies could mean that Acionna has zero impact on the environment. By creating these types of vessel, new hydrogen facilities will become more viable for more and more seagoing vessels. It’s history in the making. So how does Andy describe his latest concept? That sounds great to us. 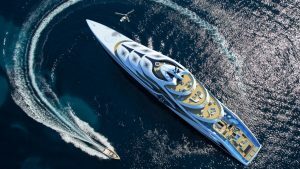 These designs help to advance the megayacht technology in all its forms to drive the industry forward. We can’t wait to see his next ideas.